My goal in creating this guide was to provide a resource that was capable of providing an efficient method of finding the resources available to veterans and their family members in pursuing higher education. As a veteran I realize how difficult it can be to access information among the myriad of data provided through government sources. As a professor of nursing for the past seven years, I understand the challenge of reaching nursing goals. My own educational achievements evolved from EMT, LPN, ADN, BSN, MSN, to currently pursuing a doctorate in nursing practice. The U.S. Department of Veterans Affairs provides assessment and counseling to assist the veterans, dependents, or transitioning soldier in their educational and career decision making. There are two programs that facilitate these activities, CareerScope, and the Educational and Career Counseling Services. 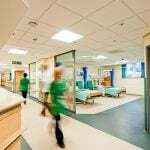 As you explore the information contained in this site you will note there are several different programs, funding, and assistance available to you to pursue a career as a LPN. CareerScope – a no cost aptitude assessment to determine educational and career pathways. Educational and Career Counseling Services – for transitioning soldiers in need of educational or career counseling. Supportive services to assist in eliminating barriers that may be anticipated through this process for academic or adjustment to civilian education or careers. Your choice of colleges are uniquely dependent upon many things when deciding which college, how to fund your education, or use the education you have earned through your service can benefit you. 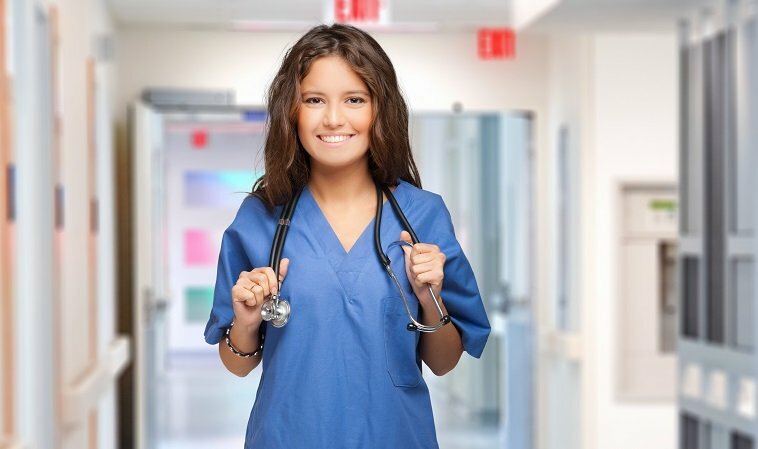 Making the decision to attend a program of study for practical nursing may seem simple, but there are a myriad of programs and other considerations including funding, benefits, and supportive assistance unique to military affiliated individuals. It could take as long to research the available resources as it would to complete the college degree. However to make your educational experience successful below are provided some of these resources. Official copies of transcripts are sent to colleges and universities at no charge! This opportunity can help you study independently or obtain pre-requisites for LPN courses. It is not the same as distance learning but similar to CLEP. The difference is that you receive a lesson plan in the mail and given a certain amount of time to complete and return it for a grade without cost. The biggest drawback of correspondence courses offered through the military is that the fact that they may advance your military career but often they do not provide college credit. Correspondence courses taken by educational programs such as “Train-at-Home” will provide college credit but at a cost. If you choose to take a correspondence course you can apply the Post-9/11 GI Bill for reimbursement costs. Other GI Bill recipients receive 55% of the approved costs. This assistance is not available for dependents under the Educational Assistance Programs. This program is designed to cover all costs of education in lieu of an agreed contract period of national service either in the armed forces or through another domestic national service program such as AmeriCorps. Those that choose to participate in this program do not usually use Chapter 1606 or Chapter 30 benefits. However, if they choose to use Chapter 1606 or Chapter 30 benefits towards completion of their program of study may have their entitlements reduced along with the service obligation agreement. Serve on active duty designated by the Secretary of Defense in a military occupation specialty for a period of 15 months. After the initial 15 months without a break in service, service members must serve an additional active duty time determined by the Secretary of Defense or serve in the Selected Reserve for 24 months. Allowance equal to a 3-year monthly Active Duty Montgomery GI Bill rate up to 36 months. Coordinated benefits with the Montgomery GI Bill. Serve on active duty in a specified military occupation for 15 months. Additional period of active duty or a 24 months in the Selected Reserve. Serve the remaining period of obligated service specified in the agreement either on active duty, Selected Reserve, Individual Ready Reserve, AmeriCorps, other national service programs. Any combination of the above can be served to participate in the benefits of the program. Certificate programs such as the LPN are eligible to be paid through using the GI Bill program. In addition payments are issued monthly after training is completed based on the number of clock hours per month. The net costs for in-state tuition and fees or national maximum (whichever is the lesser amount) are paid. Refer to this site to determine the national maximum for your type of GI Bill: http://www.benefits.va.gov/gibill/resources/benefits_resources/rate_tables.asp. There is a monthly housing allowance based on the location of your school. Up to $83.00/month for books and supplies. Other GI Bill's pay according to the monthly benefit of your GI Bill and how long you served. At least half-time attendance at higher education institution. Demonstrates a deficiency in a particular course as part of their course of study. Currently enrolled in the course during the request for tutoring funds are received. (Tutoring between semesters/quarters is not applicable). You may have heard these tests referred to as credit-by-exam courses. Colleges and universities readily accept these credits completed by testing and are available to service members and veterans are free through DANTES. There is a nominal fee if taking the exams at a nearby testing center. You can save time and money through credit by exam programs by obtaining college credit whether you are enrolled in college or not. 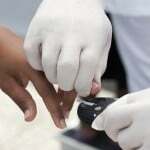 These tests can be taken electronically for CONUS or OCONUS service members. Receive college credit for what you already know or through independent study. One of the first things when considering CLEP testing would be to review college level program pre-requisites and course curriculum outlines. Many programs require a number of humanities credits prior to beginning a program of study (e.g. English, Mathematics, Social Sciences). As you review practical nurse programs you will note that all of them require similar core courses in the sciences (e.g. Biology, Psychology, Chemistry, and Anatomy & Physiology). Several of these can be taken through CLEP testing. For example if wish to study and receive credit for a Biology course you can obtain a text and study independently or obtain a study guide from the CLEP website (nominal fee of 10.00 for Biology) to prepare for the testing. Those discharged with a service-connected disability after 9/11 for a continuous 30 active duty service days. Dependents of service members that have requested transfer of eligible Post 9/11 Service Members. There are several types of GI Bill’s available to service members, veterans, and transferrable arrangements to dependents. If you are eligible for more than one GI Bill you may use one for certificate/vocational program and another for specialized or furthering education. Offers tuition and fees payments directly to the college based on the highest tuition listed for that region. An annual book stipend of $1000 based on enrollment. If you are eligible for more than one of these educational benefits, it must be understood that you cannot use more than one benefit and must choose the best one for your educational goals. Any VA regional, medical or veteran center (locate your nearest facility through http://www.va.gov/). Local military posts/bases: resource personnel are the education service officers/counselors. American Embassies for those stationed overseas. Eligible service members with a minimum of 2 years active duty, discharged honorably, earned a GED or high school diploma, or have at least 12 hours of college credit. Can be used towards entrance exams, some remedial programs, certificate programs, vocational, or college degrees. Buy-up Program: by contributing an additional $600.00 towards your MGIB-AD you are eligible for an additional $5400.00 in increased monthly educational benefits. Up to 36 months of educational benefits depending on the type of education you are seeking, length of your service contribution, your category, and any college fund contributions made towards this program. Benefits are available up to 10 years following discharge. Eligible service members that have completed initial active duty training (IADT) with a six-year obligation to serve. Completed a high school diploma or GED prior to completion of IADT. Maintain a good standing as a drilling reservist or as a reservist discharged due to disability. Eligibility for the program usually ends upon discharge from the Selected Reserves with the exception of mobilizations that extends the period of eligibility. Active Duty individuals are not eligible for both while serving on active duty. Service members that are eligible for benefits under the MGIB-AD or Post-9/11 GI Bill are provided this extension up to a maximum of 12 additional months. Thus if you served between 20 – 30 months continuous service on Active Duty, or after 9/11 you are entitled to will a total of 48 months of educational benefits. It is important to know that when considering this extension benefit the MGIB should be applied towards educational costs BEFORE using any Post-9/11 GI Bill funds. You may think “but I need the housing and education costs provided under the Post-9/11 GI Bill to get through college.” This benefit under the Post-9/11 GI Bill will always be there for you, however because your cost of LPN education and housing vary across the country and program to program the higher rate paid by the MGIB will offset housing educational fees. However, this is only pertinent if you live in a state where veterans are not required to pay tuition. If you live in a state that offers this to you as a veteran then using the Post-9/11 GI Bill for housing and other educational expenses would work better. If attending college half-time the Navy, Army, or Marines Corp College Fund under MGIB and MGIB-SR amounts will be less. Participants of the Buy-Up program under MGIB or REAP will not be provided the extension benefits. Designed to determine Veterans, Service members, and dependents to estimate your GI Bill education benefits and learn more about VA’s approved colleges, universities, and other education and training programs across the country: http://department-of-veterans-affairs.github.io/gi-bill-comparison-tool/. If you participated or are currently participating in this program you realize that regular cash contributions from your military pay are matched 2 for 1 by the government. You may use the Veterans Education Assistance contributions for college, licensing, entry exams, correspondence courses, certification testing, remedial or refresher training courses. Depending on the number of contributions over time, you have ten years to use the fund or receive a portion of it refunded if you do not use after ten years. Entered service between January 1977 and 1985. Active duty with at least three months’ time in service remaining. Air Force eligibility has different criteria for eligibility. Enlisted between the periods December 1980 – September 1981. Enlisted AF specialties including 20723, 20731, 20830, 46230, 46230A, B, C, D, E, F, G, H, J, or Z, 46430, 81130. Location of enlistment must be either Beckley WV, Buffalo or Syracuse NY, Houston or Dallas, TX, Fargo ND, Louisville, KY, Memphis, TN, Omaha, NE, Philadelphia, PA, Seattle, WA, Sioux Falls SD. This program is an educational benefit for active and separated reservists eligible due to an active duty service mobilization in response to a national emergency or military conflict. While serving at least 90 days on active duty, service members have the option of participating in the same Buy-up program as those eligible for the MGIB contribution of an additional for the added $5400.00 in increased monthly educational benefits. This program can be challenging to comprehend in its entirety. However if you are an active duty service member and do not plan on continuing college after discharge it can be beneficial to consider the Top-Up program. Those eligible to participate are service members with an MGBI or Post 9/11 GI Bill. Active duty service members that elect to take a few courses before discharge can use the Top-Up program to pay for courses in addition to using the MGBI or Post 9/11 GI Bill towards future college courses upon discharge. However, if the service member chooses to use the tuition assistance Top-Up program it will affect the remaining balance of their MGBI or Post 9/11 GI Bills for additional college courses post-discharge. The Top-Up program is also limited to 36 months of tuition assistance. For instance if a course takes four months to complete your remaining Top-Up fund would be for 32 months. There are different forms for different branches of service. Air Force: Uses an electronic version of AF Form 1227 with an electronic signature. This form should have the official seal. To access information and the forms: http://www.usa-federal-forms.com/air-force/3-pdf-forms_pubs/www.e-publishing.af.mil/formfiles/af/af1227/af1227.pdf access the information and form. Attend classes in the morning and work in the afternoon. Attend classes in the evening and work in the daytime. Attend full-time for one semester and work full-time during another. Ask your college financial aid veterans/military personnel if they are or would be willing to be part of this program. Service members must have at least 6 years of service on date of approval and agree to serve four additional years, unless the service member has a total of 10 years’ service. A service member that has served 20 years and agrees to serve an additional 4 years once retirement-eligible. You will need a Common Access Card (CAC) to log onto the DoD Self-Service or DFAS Account to access the application. From the home page select EDUCATION – Transfer of Education Benefits (TEB). From this page click on the table LIST OF FAMILY MEMBERS section (if a family member is not enrolled in DEERS they will appear as ineligible). Transfer benefit months to a family member by locating their name, select the number of months (0 – 36) from the drop-down list, and an optional End Date (YYYY-MM-DD) if applicable. You may input the information as described above for additional family members selected. Check mark all boxes under the TRANSFERABILITY OF EDUCATION BENEFITS ACKNOWLEDGEMENTS after reading the statement and submit the request. If completed correctly a confirmation message will display. To check the status of the request you will need to return to the TEB page and click under STATUS in the SPONSOR information section. Once approved the request is sent to the Department of Veterans Affairs. The approved family member must then apply for a certificate of eligibility and VA Form 22-1990E: http://www.vba.va.gov/pubs/forms/VBA-22-1990e-ARE.pdf or can be accessed at http://vabenefits.vba.va.gov/vonapp/main.asp or you can call 888-GIBILL. Certificates of eligible family members must be provided to the school or if there is a delay between enrollment and receiving the certificate, the family member can request the school’s veterans’ certifying official to assist. GI Bill funds are sent directly to the school. If a service member is serving active duty only children are provided a monthly living stipend, not spouses. If a service member is not serving on active duty then children and spouses will be eligible for the monthly stipend. Additionally both children and spouses will receive a books and supplies stipend whether the service member is active duty or not. Service members and their family members may use these benefits up to 15 years from release from active duty (including Selected Reserve members as long as their last active duty service was more than 90 consecutive days). Children are eligible to use these benefits until they are 26 years of age. An organization through the VA that provides education and employment opportunity training to surviving service members dependent and spouses. Was captured, missing, or died while serving in the armed forces. A family member of a permanently disabled service member discharged or separating from the service due to the disability. Testing, licensing, and certificates are reimbursable through your Veterans Assistance Benefits. Testing fees up to $2000.00. No limit to the number of times you may use this benefit for testing even if you must take the same test over several times. It is important to note that at this time only the State of Ohio participates in this program for the NCLEX. There are only a few states that provide licensing for certified nursing assistants. You may ask your state or local licensing board to officially approve and participate in this program. VA payments are sent directly to the beneficiaries not to the organization. Apply for benefits at your nearest VA regional processing office along with VA Form 22-0803: http://www.vba.va.gov/pubs/forms/VBA-22-0803-ARE.pdf. Army TA is a program eligible to nearly all Army soldiers including officers, enlisted, Reserve or National Guard. This program is designed to support the soldier’s professional or personal self-development goals. The program will pay 100% tuition up to 16 semester hours at a rate of $250.00 a semester; $166.00 per quarter, and $4000.00 maximum per fiscal year. Must have completed one year of service after advanced individual training (AIT). Fees for laboratory and courses will no longer be reimbursed. Requests for tuition assistance must be submitted and approved prior to beginning the course. A course that is not successfully completed will require the service member to reimburse for that course. Limit of 130 semester hours of undergraduate credit. Refer to the www.GoArmyEd.com site for further details. The Navy TA program also includes 100% tuition assistance for college courses. Open to Naval officers, enlisted, active duty, or reservist ordered to active duty for 120 days or more (Reserve Naval Officers ordered to active duty for 2 years or more). Must be on active duty during the entire length of the college course. College must be accredited by a regional, national, or professional agency recognized by the Department of Education. Provide previous TA transcripts and satisfy any reimbursement for all W and F grades. If a Naval Officer you must remain on active duty concurrently with remaining obligation for an additional two years after completing a TA funded course. Failure to honor this obligation may result in a pro-rated repayment of the TA funds. Attendance and reimbursement limits include $250.00/semester credit hour; $166.00/quarter credit hour; and 16 semester hours (24 quarter hours or 240 clock hours)/fiscal year. The Air Force TA program also includes 100% tuition assistance and fees for college courses taken by active duty personnel. The program will pay 100% tuition at a rate of $250.00 a semester; $166.00 per quarter, and $4500.00 maximum per fiscal year. Application for TA is completed online through the Air Force Education Center portal (AFVEC): https://www.my.af.mil/faf/FAF/fafHome.jsp. You must create a user name and password on the portal. There are six steps that must be followed to complete the online TA. Below is an overview of these steps so it is important to plan ahead to ensure completion of your application. Once your request is approved you will be notified and the form will be signed by the approving official (no longer need a supervisor’s signature) and you. A copy of this form will then need to be provided to your college. Things to remember that may result in prevention or denial of applying for Air Force TA. Failure to obtain a grade over 60 days from end date of course. Omitted personal data (phone, DOS, DOB, Unit, Office Symbol, mailing address, email address, Base, and Education level). Applying for TA for courses that will not start for more than 30 days. Requesting TA for repeat courses already taken. Example: you are applying to an LPN course, but you have an associate degree in medical technology. The LPN program requires you to have a college level math course – this would not be funded under TA since it is considered part of a lower level course from your associate degree awarded. However, this may be a difficult area to navigate since there are restrictions on obtaining a lateral degree, lower level degree, or whether you attend(ed) the Community College of the Air Force (CCAF) or a civilian college. Failure to submit a degree plan. If courses are dropped or incomplete there are strict guidelines that must be observed to avoid reimburse cost obligations for tuition. Notify the Air Force Education Center and the college if you plan to drop or add course. Ensure the intended drop/add is within the college’s designated drop/add window. Incomplete courses must be completed within 12 months or less. The Marine Corp TA program also includes 100% tuition assistance and fees for college courses taken by active duty personnel. Application for the Marine Corp TA program begins with a mandatory orientation class accessed either remotely (non-Marine Corps duty base installations) or at base Education Offices. This is required before applying for TA. The Coast Guard’s Tuition Assistance has changed since Fiscal Year 2014. Part of this change is TA for service members seeking Associate or Bachelor’s degrees only. However, check with your educational service officer (ESO) to find further information for assistance. Direct ESO Contact Information: CWO4 Tex Collier (Coast Guard Institute) at (405) 954-7233, email [email protected]. Sponsored by the Department of Education the Veterans Upward Bound program is a grant program to provide supportive resources to those that have not returned to school for a long time. Skill improvement for mathematics, languages, composition, science, reading, literature, computer basics and other subjects as necessary for success. For further information access the National Association of Veterans Upward Bound (NAVUB) at http://www.navub.org/. 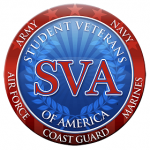 An organization that supports, advocates, and develops partnerships between colleges for resource acquisition and student veterans and their families: http://www.studentveterans.org/. As advocates they also assist student veterans and their family after graduation to transition into employment within their field of study. They also have a scholarship fund. This found at eBenefits: https://www.ebenefits.va.gov/ebenefits/jobs. They provide job searches, skills translator, profiles, resume building, resources, and employer commitment statements. Upcoming job fairs for veterans and their family members. Several helpful links such as a “Veterans Employment Toolkit, “VetSuccess on Campus (VSOC),” and “Education and Career Counseling” along with several other topics included in this site. Entrepreneurial services for those that wish to start a business (There are several ways the LPN can start their own business – coming in a later post). An organization that acknowledges the contribution of women veterans and provides resource information particular to the needs of women. Provides access to VA coordinators in each VA regional office and states. Contact them at (202) 461-6193; email [email protected]; or access their website for more information: http://www.va.gov/womenvet/index.asp. Web Automated Verification of Enrollment (WAVE) https://www.gibill.va.gov/wave/index.do This site allows students to submit their monthly verification of enrolment over the internet. VA Forms http://www.va.gov/vaforms VA Forms available on the internet. Web Automated Reference Management System (WARMS) http://www.warms.vba.va.gov/ On-line access to VBA Manuals, Directives, Circulars, Letters, Title 38 Code of Federal Regulations, and other materials necessary to support our nation’s Veterans. E-Benefits http://www.ebenefits.va.gov/ eBenefits is a one-stop shop for online benefits-related information. Joint Services Transcript (JST) https://jst.doded.mil/smart/signin.do Obtain transcript translating army formal military education and job experience into civilian language; also includes college equivalent credit recommendations. DOD Transferability http://www.defense.gov/home/features/2009/0409_gibill/ DOD transferability documents, policies, and procedures. VOW/VRAP http://www.benefits.va.gov/VOW/ VOW to Hire Heroes Act information including the Veterans Retraining Assistance Program. College Navigator http://nces.ed.gov/collegenavigator/ A tool for student to aid in the selection of schools and training programs. What Do I Do If I Live Far from a Military Installation? 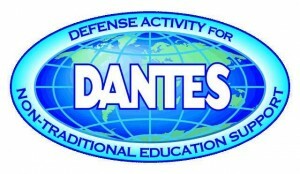 Education guidance counselors can be reached by email, phone, or through the Defense Activity for Non-Traditional Education Support (DANTES) website: www.dantes.doded.mil. 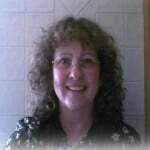 Many years ago my educational ambitions began with the goal of accomplishing a Bachelor of Science in nursing. Yet, similar to many young individuals; family, military obligations, and funding prevented the successful accomplishment of these goals in a timely manner. However, lessons other than academic, such as perseverance and tenacity have prompted my continued educational advancement and is a foundation for motivating nursing students of the future. I have served with honor in the United States Army and I am a veteran of Desert Sheild/Desert Storm and of Operation Noble Eagle. Serving in both of these campaigns as a health care professional was (at times) difficult, but a proud duty. Determined faith and many lessons learned along the way has encouraged me to become a life-long learner, an honored veteran, and a nurse that embraces caring for others with integrity and professionalism. It is my hope that you will find this site useful and that it will encourage you to start and/or complete your own journey in nursing.